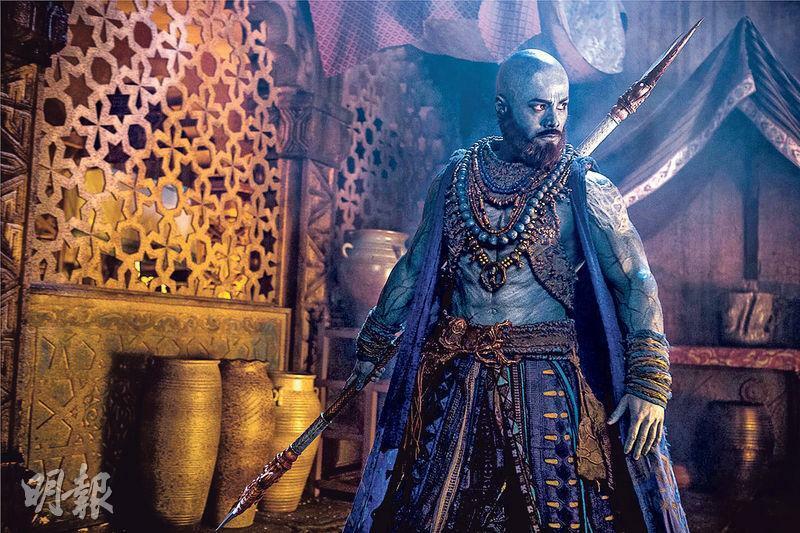 Law Chung Him in the new film THE MONKEY KING 2 (SAI YAU GEI ji SUEN NG HUNG SAM DA BAK GWUT JING) played the "Smurf" Sand Monk. Each time before the shoot he had to spend four hours and around over 20 steps for his transformation. The "muscular" Sand Monk had many cute straight man performances. Thus Law Chung Him's difference in his performance cracked up other actors. The White Bone Spirit Gong Li even joked, "I love little 'blue' man like this the most."